How do you remove urine odors from grout? First, clean the floors with a specialized/dedicated bio-enzymatic washroom cleaner, certified green. Second, flood the floor and grout as part of cleaning, not simply doing a light damp mopping. The urine flooded the floor and grout so a damp mopping won’t do. Remember, no disinfectants can also be used on the floor. In about 30 days, a significant difference in cleanliness and odor will be evident. You will need to use a medium duty brush with utility a hand tool, handle or equipment. The chemical to be used is either a disinfectant, enzyme- or live bacteria-based product. Be sure you saturate the area with the solution being used and scrub the area. Enzymes and disinfectants tend to foam when agitation occurs with a cleaning tool. Allow for the product to have adequate enough time to emulsify and devour urine. Five to 10 minutes is ideal, however as all germicides state dwell time, follow instructions. Do not allow the product to dry out on surface, you will need to clean up solution with water or selected cleaner utilized for the surface type being cleaned. How do you remove urine odors from vinyl flooring in a nursing home? This can be challenging. Time plays a big part in how this procedure is done. The quicker you identify the spill, the easier it is to remove. Floor finish is a great way to assist in protecting the floor from not only spills, but odor causing materials. When floor finished is used, you should have an easier time not only mopping or cleaning up the urine, but less issues with the malodor getting into the vinyl flooring. Where floor finish is not used, soft brushing utilizing floor equipment, hand tool or handle would be the alternative. 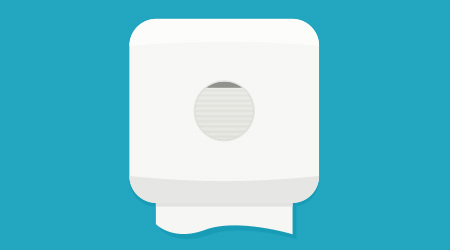 The best alternative is to follow the similar process used in removing urine odor from restrooms. Scrubbing the source where the malodor is coming from and allowing for disinfectant, enzymes or live bacteria to work is key. Remember, to rinse the area with water or cleaner designed for the surface cleaned is an important step after working the area where the malodor is coming from. Hydrogen peroxide is a good start to clean and deodorize urine. Urine is usually a bit acidic but the normal range can be a pH from 4.6 to 8. When debris or organic material need to be removed, the hydrogen peroxide works with oxygen to bring the debris to the surface, where it can be wiped away. An enzyme-based product can then be applied to a really tough situation where the odor seems ingrained. An acidic type of product might be needed if the spot was unattended and stain ingrained in the vinyl. In a dementia care unit, urine in carpet can be a common occurrence. How do you remove urine odors from immediate stains, soaked carpeting and even dried urine spots? When extracting carpets, use a dedicated, bio-enzymatic, green-certified product designed for carpet care. For spotting, use the same product or a dedicated/specialized bio-enzymatic washroom cleaner — liberally spray, let sit five to 10 minutes, then blot. Repeat until no noticeable soil transfer. Then wet the spot and area, cover with a sheet of plastic, tape down the edges, and let sit eight hours or so. Extraction is the best method. If carpets are wet, use an enzyme-based pre-spray in a pump up sprayer. Clean area with extraction vacuum only; do not use solution or jet stream. Reapply enzyme-based pre-spray heavy on area to be cleaned. Allow for product to dwell for 10 minutes then use extractor with all components working properly jet stream and vacuum. The key for optimal success is acid rinse in the solution tank; this will assist in removing any discoloration of area from urine, as well as neutralize the carpet from the pre-spray. As always, test products being used on the carpet in an inconspicuous area. For a dried urine spot, use a white towel and enzyme-based spotter or product designed to attack malodors and spots. Saturate area and blot up with towel. Check towel for urine and removal. The white towel will show soil if working. Once there is no more soil transfer into towel, use a fresh towel with water only and saturate spot and blot area. If this process is not working, use process mentioned for extraction. An enzyme-activated product is the best resource to begin cleaning either a fresh or old stain. Removing as much of the “yellow” debris as possible, work the product into the carpet. Use a clean cloth or microfiber pad to sop up as much of the liquid as possible. Reapply if necessary. Hydrogen peroxide-based products may work well also with odors dissipating with use and applied for general cleaning between spot cleanings.